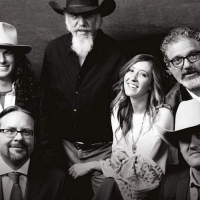 Texas-based country music group, formed in West Virginia in 1970 and still fronted by founder member Ray Benson. The band's first hit album was their fourth, 1975's 'Texas Gold', which reached No 7 on the US country chart. In 1977, Asleep at the Wheel was voted Best Country Western Band by Rolling Stone Magazine.